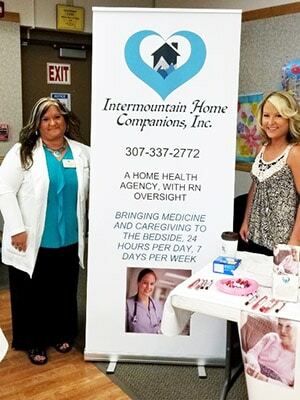 Intermountain Home Companions, Inc. is a huge contributor to the quality of life for many seniors and others with health problems in Natrona and Converse Counties. All 52 staff members of their two divisions, which are giving/non-medical and medical, strive to make a difference in the lives of the patients they serve. 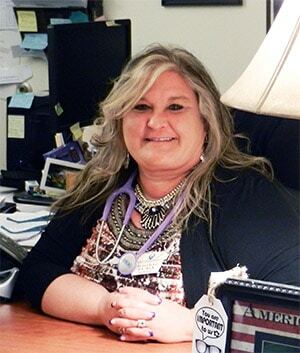 President Rachael Bickels, RN, MSN, opened the agency in late 2015, realizing her 25-year dream to start her own business. Rachael’s late father Bernie Bickels was also an entrepreneur. The company worked with the Wyoming Small Business Development Center Network prior to starting up to learn about financing requirements and get help with legal issues and business planning. Business Advisor, Cindy Unger, was always available to answer questions as the start-up process unfolded. Rachael is a Registered Nurse and has a Masters’ Degree in nursing. Her personal mission is to “bring medicine back to the bedside” and provide quality care for patients throughout the adult lifespan. Intermountain brings medical best practices into patient homes, working with local medical practitioners, hospitals, nursing homes, assisted living facilities, and other health care agencies to provide modern, holistic and collaborative patient care. Starting out, Intermountain provided only caregiving/non-medical services to the elderly to help them remain in their homes. In July 2016, the company purchased Caring Hands, one of Casper’s finest and oldest caregiving agencies, absorbing their patients and staff. The non-medical staff help with cooking, cleaning, errands, and socialization in the home. They specialize in the care of Alzheimer’s patients and provide needed respite for home caregivers. As of January 23, 2017, Intermountain became a licensed home health agency, providing skilled nursing services in Natrona and converse Counties. They accept private insurance, Medicaid, VA and private pay patients. Intermountain Home Companions is the only local agency that is open 24 hours per day, seven days per week. Implementing their mission to assist with both physical and mental well-being, they are also the only agency that transports their patients to parks, theaters, shopping, restaurants, and doctor appointments. These unique features probably account for their rapid expansion and success. Rachael says that her greatest reward is to have started a company that makes a difference in the lives of their clients.